Seattle Sounders FC promotes responsible drinking and positive fan behavior at CenturyLink Field. The Sounders FC Fan Code of Conduct and details of the Sounders FC alcohol management plan that appear below ensure that fans have a safe and fun experience. Each guest should hold his or her ticket stub and be ready to display it to stadium officials upon request to verify their seat location. All Season Ticket Members are responsible for their conduct as well as the conduct of their Guests and/or persons occupying their seats in their absence. *The use of streamers and confetti as an expression of fan enthusiasm is not prohibited, but will be kept under review. Streamers are not to be used to impact the competition and/or thrown at or toward a player, referee or stadium staff member. **Public Display of Affection or PDA – CenturyLink Field is committed to providing an atmosphere that all guests find enjoyable. As part of this commitment, we ask that all guests keep acts of affection tasteful and discrete. Below are general guidelines that CenturyLink Field and Sounders FC Management will follow, when applicable, regarding violations of the Fan Code of Conduct. Both CenturyLink Field and Sounders FC Management, reserve the right to review each case independently, based on available facts, as well as past issues and violations. All Season Ticket Members are responsible for their conduct, as well as the conduct of their guests and/or person occupying their seats in their absence. Individuals who violate the Fan Code of Conduct and/or are ejected from the stadium during a match, will receive an official notification of the offense in the mail from Sounders FC Management. Violations that could generate a Warning Letter are as follows, but not limited to: use of any tobacco products on CenturyLink Field property, foul or abusive language or obscene gestures, intoxication or other signs of impairment related to alcohol consumption, failure to follow stadium staff directions, and any other conduct that is beyond the bounds of reasonable behavior for guests attending a professional sporting event. CenturyLink Field and Sounders FC Management reserve the right to mandate individuals, who have been ejected for violations of a more serious nature such as violence, sexism, racism, or actions that result in criminal charges, to complete the online Fan Code of Conduct class. This online course costs $250 and will go over in detail the aspects of the Fan Code of Conduct that all fans are expected to adhere to while attending a Sounders FC match. Until the course is completed, the individual will not be allowed to attend any Sounders FC matches at CenturyLink Field. If the person is found at CenturyLink Field during a Sounders FC match without successfully completing the mandated online course, the person will be immediately ejected from the property and/or possibly cited for Trespassing. 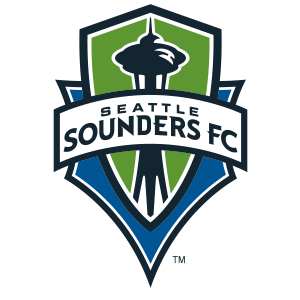 Upon completion of the course, the individual will be sent a letter from Sounders FC Management acknowledging the course completion and notification of acceptance back to Sounders FC matches. CenturyLink Field and Sounders FC Management reserve the right to impose Match Ban(s) for individuals who have received any prior corrective actions for a Fan Code of Conduct Violation including, but not limited to a Warning Letter, Fan Code of Conduct Class, or any violation deemed by CenturyLink Field and Sounders FC Management to be egregious enough in nature to warrant a Match Ban(s). Violations that could generate a Match Ban(s) are as follows but not limited to: fighting, taunting, or threatening remarks or gestures to either fans or stadium staff, any disruption to the progress of the event by guest’s actions, and throwing objects of any kind at the field of play, other fans, or stadium staff. Depending on the severity of the violation, Match Ban(s) can be as little as one match or a permanent loss of a guest’s right to attend a Sounders FC Match at CenturyLink Field. Individuals who lose their right to attend Sounders FC Matches can petition CenturyLink Field and Sounders FC Management to be re-instated one calendar year after the offense. All penalties resulting in a Fan Code of Conduct violation can carry over into post-season matches and/or future seasons. The image and reputation of the Sounders FC and their fans is of the utmost importance to Sounders FC Management. Sounders FC fans are encouraged to travel and support the team during away matches. However, if an individual is ejected from an opposing team’s stadium, Sounders FC Management reserves the right to issue any of the above disciplinary consequences based on the violation. CenturyLink Field and Delaware North Sportservice work hard to promote responsible consumption of alcoholic beverages. Our alcohol policies are listed below and are also posted at every concession stand. There will be a two (2) beer, or wine, limit, per transaction, at concession stands and portable concessions during the first half. Starting at kick off of the second half, there will be a one (1) beer limit per transaction. A State ID Card – An official state ID card issued by an U.S. state or Canadian province. A current, unexpired Official Passport – Issued by any nation. In 2014, Seattle Sounders FC received TEAM Coalition’s Prestigious Achievement award for having 90% of all employees TEAM certified. The club has also won the Cascadia Responsibility Cup three seasons in a row. Seattle Sounders FC takes on the Vancouver Whitecaps and Portland Timbers this season in the Cascadia Responsibility Cup, a friendly competition to determine which club’s supporters can register the most designated drivers. I will not consume alcohol at today’s event. I will provide safe, sober transportation home for my group. I will make sure everyone buckles up – every trip, every time. Designated drivers who make this pledge at Seattle Sounders FC home games receive a free soft drink and are entered into the Major League Soccer Responsibility Has Its Rewards Sweepstakes.